The FAG Swiss Proof 40 is the less technisized brother of the FAG Control 405. There was no adjustable bed and no power driven cylinder available, which made this press much lighter than the FAG Control 405. 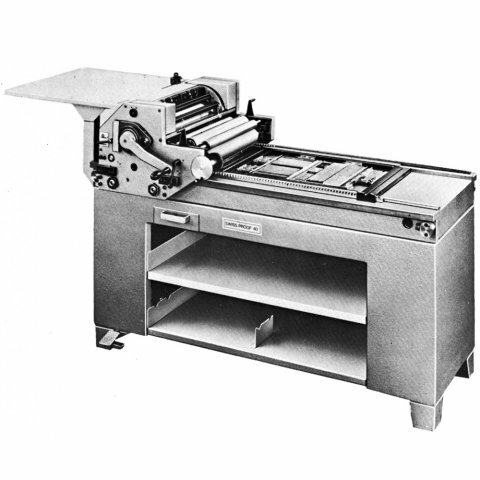 With early models, even the power driven inking system was an optional feature. Aswell as the FAG Swiss Proof 52 and the FAG Control 525-MRS, the Swiss Proof 40 was officially presented at Drupa 1972 in Düsseldorf, Germany. 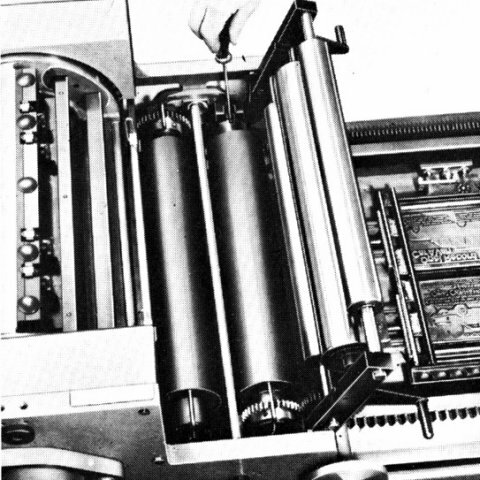 FAG completed their very high standing Control modell line with the MRS update and the two simpler – they call it the «Volkswagen» of the proofing presses – Swiss Proof model line. FAG Swiss Proof 40 from a Swiss catalog from the early 1970ies. This was an early model with a hand cranked inking system. Later models were all equipped with a power driven inking system ME. 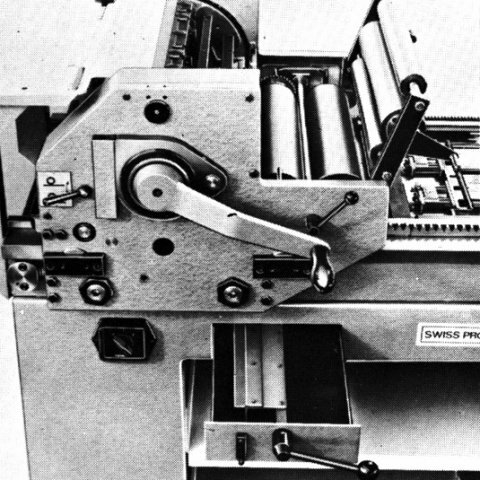 The later motorized inking system of the FAG Swissproof 40 was identical to the one one the FAG Control 405. From a Swiss Catalog from the early 1970ies. The Swiss Proof 40 only existed as a handcranked press. From a FAG Catalog from the early 1970ies.